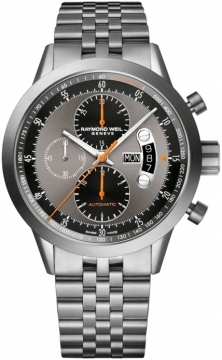 Raymond Weil watches was founded in 1976 in Geneva in Switzerland at a time when the watch industry was in crisis. It was founded by a man named Raymond Weil to whom the company still bears its name. Raymond Weil has always been a family run business with the reins of power passing from generation to generation, each member providing new expertise and direction for the Raymond Weil brand. Raymond Weil’s son in law, Oliver Bernheim took control of the company after Mr Raymond Weil and his two sons also joined the company afterwards. Under their leadership Raymond Weil saw rapid expansion in the 1980’s and 1990’s as they looked worldwide to gain credibility and sales. Raymond Weil quickly established itself as a leading Swiss manufacturer with such feats as in 1986 when it produced an ultra thin Othello watch measuring 1.2mm thickness. At the end of the 20th century Raymond Weil created a Research and development department to utilise the latest technologies and develop complications for its watches. 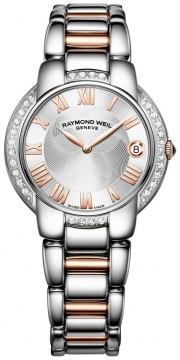 Raymond Weil began adding complications to its watches in 2004. 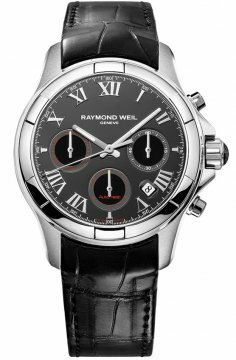 Raymond Weil was one of the first Swiss watch brands to capitalise on new channels to reach consumers such as social media and in 2006 they created the Raymond Weil Club for fans and Raymond Weil watch owners. In this year they also made new innovations in their watch making such as including carbon fibre in their watches, particularly the Nabucco for the first time. 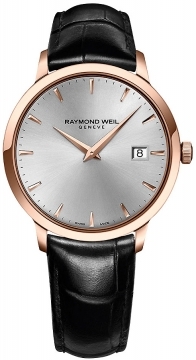 Raymond Weil has carved itself a unique position within music, art and cultural circles producing many ranges of watches inspired by these various areas. Raymond Weil watches became the official sponsor to the BRIT awards music event in 2008 further enhancing the brands tie in to music. The brand has always been creative with its image and in 2007 a new brand identity and logo was unveiled for the company along with the slogan "independence is a state of mind". This was followed in 2011 by a 35th anniversary campaign that went by the slogan "Precision is my inspiration".